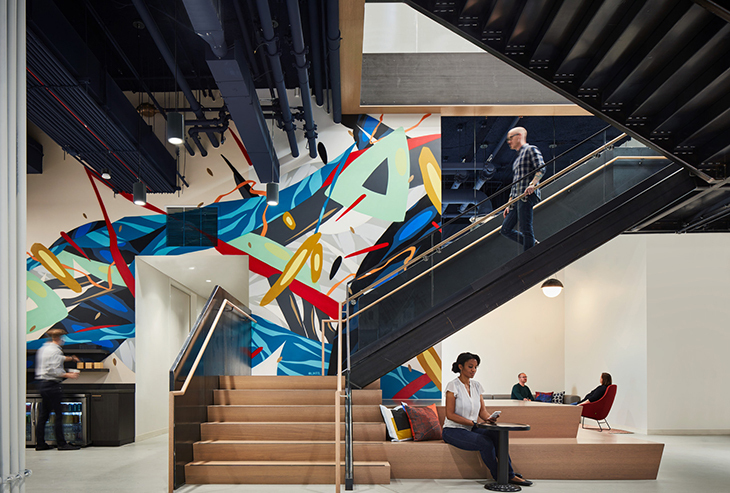 Environmental graphics at LinkedIn’s Silicon Valley headquarters are not just adding to the visuals within the space, they are positively cultivating an employee experience. Photo by Jasper Sanidad Photography. Debora Novarini is a senior graphic designer in Gensler’s Houston’s Branding studio. Debora’s experience working in advertising agencies, branding, and retail companies has honed her skills in print, collateral materials, branding identities, website development, e-commerce, and more. She is passionate about branding and how it helps shape people’s experiences at every touchpoint. Contact her at Debora_Novarini@Gensler.com. Circe Mendez is a graphic designer within Gensler Houston’s Branding studio. Circe’s focus is on finding creative solutions for complex problems through brand identities, environmental graphics, web design, typography, illustration, and more. She is passionate about using design to engage consumers across all platforms including print, screen, and space. Contact her at Circe_Mendez@Gensler.com..